Global passenger traffic increased by 5.6% for April 2015 compared to April 2014, reports Airports Council International. International passenger traffic grew by 4.8% year-over-year; with domestic traffic up by 6.4%. 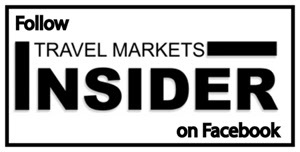 While all regions reported gains in passenger traffic, most of the buoyant activity in April stemmed from the emerging markets of Asia-Pacific, up 9.4%, the Middle East, up by 8.2% and Latin American-Caribbean regions, up 7.1%. Most of the world’s busiest airports posted gains in passenger traffic. As many as 27 of the world’s 30 busiest airports experienced positive growth for the month of April. The Asian airports recorded the largest strides in passenger traffic. Shanghai (PVG), Incheon (ICN) and Bangkok (BKK) all experienced double-digit growth rates of 19.9%, 18.8% and 16.1% respectively. Despite the slowdown in some emerging markets, India remains a shining light among the BRICS countries. Both Mumbai (BOM) and Delhi (DEL) showed robust growth of 20.7% and 15.2% respectively for the month of April. By regions, international passenger traffic in North American airports rose 3.1% year-over-year (YOY) April 2015 over April 2014; was up 4.8% year to date (YTD) in April, and up 5.8% year end (YE), based on a rolling 12 month period, compared to the prior 12-month period. For Latin America-Caribbean airports, international passenger traffic was up 7.1% YOY in April; up 9.7% YTD and up 8.2% YE. In Europe, international air traffic was 2.5%, 4.4%, and 5.1% respectively. In Asia-Pacific, the numbers were 9.4%, 9.1%, and 6.5% and in the Middle East, air passenger traffic was up by 8.2%. 9.8%, and 8.8%. Worldwide, the increases were 4.8% YOY, 6.3% YTD, and 6.0% YE. Domestic passenger traffic worldwide was up by 6.4% YOY, 6.0 YTD, and 5.3% YE. Air freight experienced moderate growth as volumes increased by 3.3% for the month of April, although the first four months saw an accumulated increase of 4.4% year-over-year.